Via Wonkette, a strangely funny political website. For some time I’ve been thinking I ought to take notes when I read magazines. Not very extensive or systematic notes, just a few jottings of things I might want to remember. To motivate myself to start doing this, I’ve decided to post these jottings on the blog. Here’s are my notes on the current issue of THE ATLANTIC. In a review of C L R James’ BEYOND A BOUNDARY, Joseph O’Neill laments the decline of American cricket since the brief period in the 1760’s when the sport was popular here. He argues, apparently in earnest, that James’ book is so good that it justifies the lifetime of cricket fandom necessary to appreciate it. Clive Crook notes that several prominent economists have in recent years suggested that globalization might not be the road to paradise and assures us that this is because they are growing senile. “No empirical work even comes close to supporting the claim that globalization is failing to benefit America in the aggregate.” Crook does not ask how those benefits have been distributed among Americans, let alone whether globalization will create new forms of inequality and what those new forms of inequality might mean for our society and politics. For me, these are the essential questions about trade policy. The cover story is about rich guys like Bill Clinton who try to take control of people and groups to whom they donate money. Of course, the magazine is owned by David Bradley, who is just such a guy, so they present this as a good thing. It’s the “new philanthropy”! Other feature stories deal with “social investing,” the evolution of altruistic behavior, and the future of Pakistan. This journal today [April 3] confirms persistent reports that classes in ”comparative literature” conducted by Professor Irving Babbitt have evolved a betting pool based on the number of writers mentioned during one of his lectures. One hundred chances are sold at 10 cents each, and three tally-keepers count the writers. The man holding the right number wins the lottery minus 10 percent, which goes to the inventors. They have found that 47 constitutes the average number of authors mentioned by Professor Babbitt. 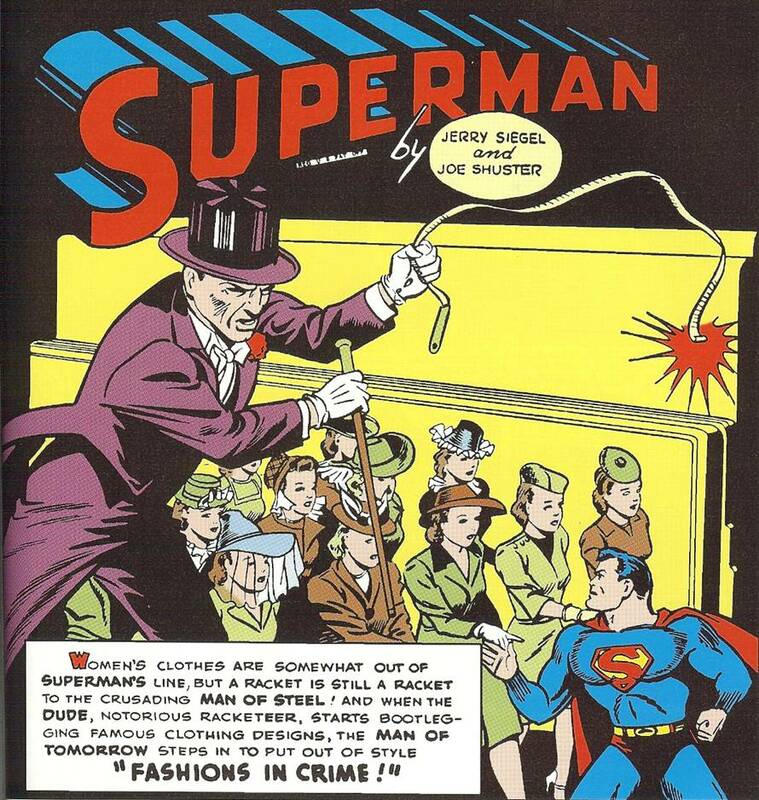 Superman vs the… Fashion Designers? It’s necessary ASAP. How else to get the country to move beyond caring and moping about to mobilizing against war? Plus, if we believe ourselves to be a powerful force for good we should have plenty more combat troops to enforce our goodness. Lefalcon seems to be interested in “political theology,” the notion that all political ideologies are really religious doctrines in disguise. Below, Mencius Moldbug of the “Unqualified Reservations” blog tries to identify the religious doctrine behind the liberal internationalism that animates supporters of things like NATO, the UN, etc. Have you seen too many PowerPoint presentations? Here’s a satire. Courtesy of Wonkette, a photo of the candidate the Republican Party wishes it could might as well try to put in the White House in 2008.